Is anyone going to the convention this year? Sandy Morgan I'm definately going! WOOOOOOOOHOOOOOOOOO! Anna Banks You Bet! Wouldn't miss it! And the "Come as you ARE FIVE YEARS from now" Party too!!! 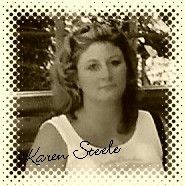 Karen Steele Awesome! I will be there too, looking forward to meeting all of you! Carlos Scarpero www.ItsAboutResults.com I'm there too! Kim Emerson Hey there Karen! Adam Herbel Yep! I'm bringing as much of my team as possible! Hey Karen it's about time we get to meet!!!!!! Make sure you get DEB & Duane to come... it's time we all get to have ONE MAJOR party! !